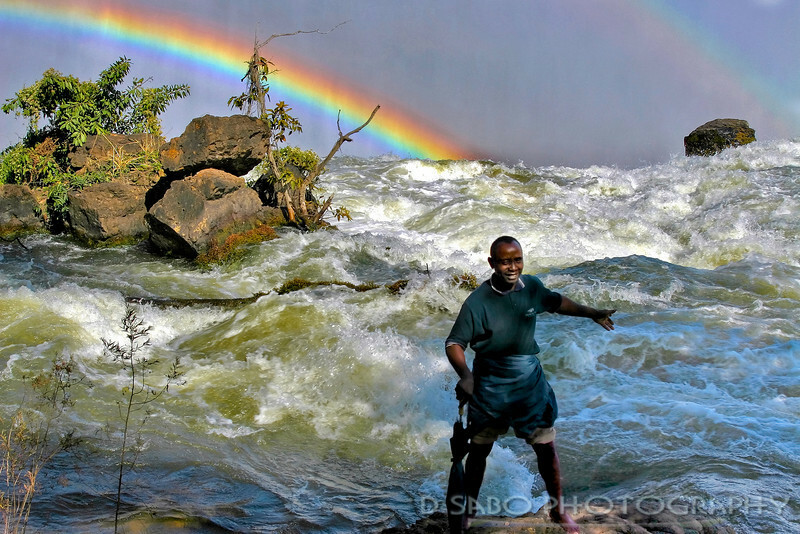 "Singing on the Falls" ill Advised tourist strolls along the slippery rocks of the Victoria Falls head waters. The falls dropoff is right at the boulder rocks edge. Photo taken from Zambia side of the falls.